The Starbucks® Serenade™ grinds the fresh beans and brews a cup of coffee in less than one minute. American Coffee Services is the best choice for businesses in Cleveland and Northern Ohio who want to take advantage of this technology! The large 17 inch touch screen makes the premium experience of Starbucks® more engaging. The three bean hopper allows your employees or guests to choose their favorite Starbucks® blend. Contact us for more information about how you can enjoy Starbucks® fresh brewed coffee in your workplace. 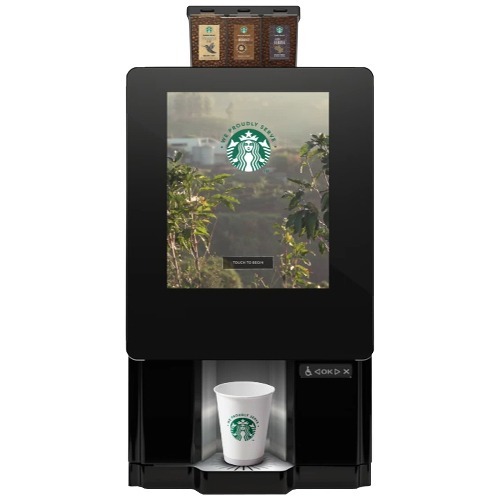 The Starbucks® Serenade™ is designed for high volume applications, a workplace with 50 or more employees or a high demand hotel / lodging environment. 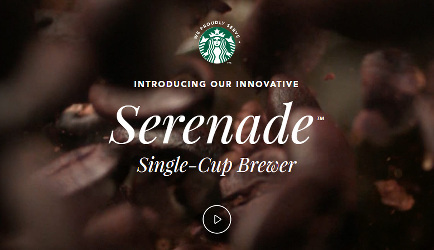 If you wish to enjoy the Starbucks® Serenade™ single cup brewer in your workplace (Cleveland, Ohio only), contact us and we can deliver a Serenade™ brewer directly to your establishment. We even will install and maintain the brewer for FREE. And with our office coffee delivery services, your workplace will always be fully stocked with your favorite Starbucks® coffee and products!